Mix all ingredients, minus dates, into a food processor and blend into a fine flour consistency. 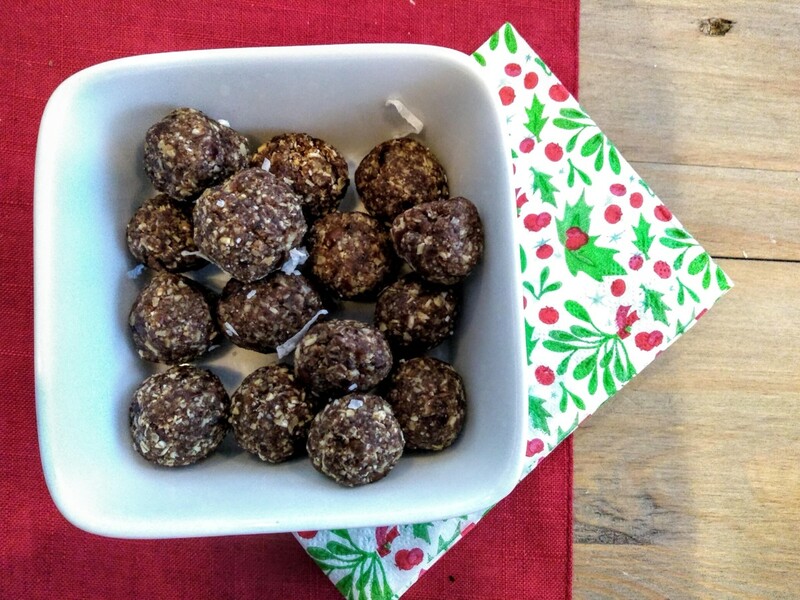 Form dough into bite size balls. Sprinkle with coconut flakes (optional) and serve. Store leftovers in air-tight container in the refrigerator for up to 10 days.